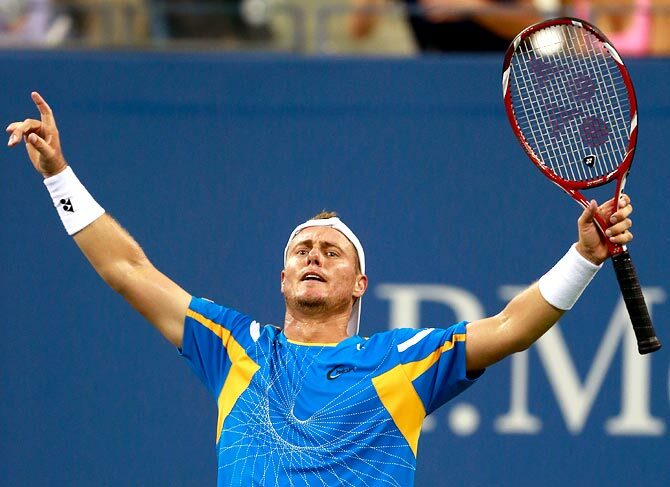 Australia's Lleyton Hewitt won an absorbing late-night thriller against Juan Martin Del Potro at the US Open on Friday to move into the third round. In a battle between two former U.S. Open champions, the veteran Australian came out on top after more than four hours, winning 6-4 5-7 3-6 7-6 (2) 6-1, in one of the biggest upsets of the tournament. Del Potro, who stunned Roger Federer to win the 2009 U.S. Open, was one of the favourites to win the men's singles title but the towering Argentine was unable to find an answer to Hewitt's counter-punches as the pair slugged it out like two heavyweight boxers. "It's amazing," Hewitt said on-court. "I was pumped up when I won my first-round match because I knew I was playing Del Potro and we could be on Arthur Ashe (Stadium). "I don't know how many years I have left in me so I was just hanging to get back on this court again." 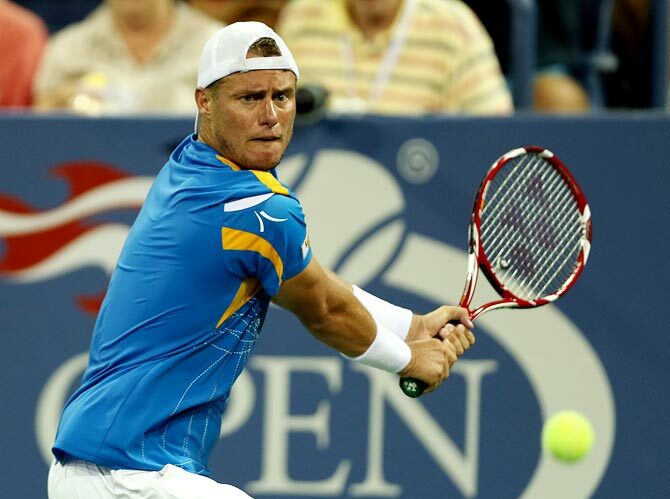 Hewitt may no longer be as fast as he was when he upset Pete Sampras to win the final 12 years ago but the 32-year-old showed he had lost none of his combative spirit. Scrambling around the center court to keep up with his younger opponent, he fetched more balls than a golden retriever, and hit a string of inch-perfect winners. His biggest flaw, however, remains his serve, which lacks the power of most of his opponents and it threatened to let him down. After snatching the opening set, Hewitt, who also won Wimbledon in 2002, had a perfect opportunity to take a two-set lead. He was just a point away on his own serve when he double-faulted. Del Potro went on to break him and take the set and seized the momentum. 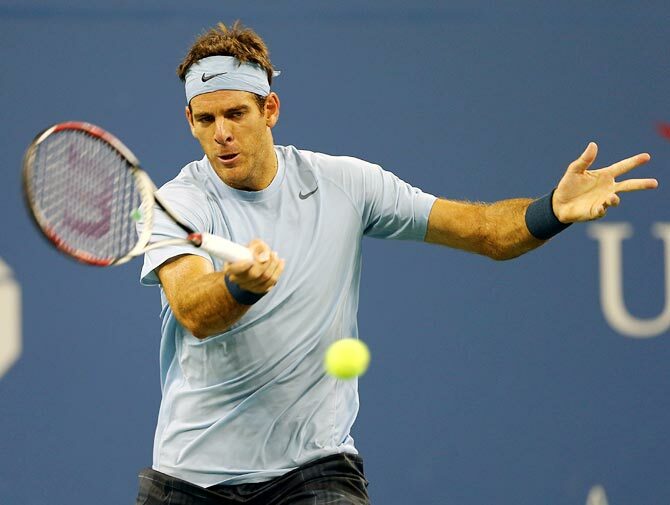 The 24-year-old Del Potro, seeded sixth at Flushing Meadows, won the third set but was starting to run out of gas. He found himself down a break in the fourth and although Hewitt failed to serve out the set, the Australian won the ensuing tie-breaker 7-2 to send the match into a deciding fifth set as the boisterous New York roared with approval. Del Potro blinked first and Hewitt pounced to break his serve twice and jumped out to a 5-1 lead. The Argentine saved a match point on his own serve but double-faulted on the second as Hewitt celebrated a remarkable victory. His prize for winning was a third-round clash with the unseeded Russian Evgeny Donskoy, who won his own five-set marathon against Germany's Peter Gojowczyk 6-3, 6-4, 3-6, 4-6, 6-3, but Hewitt was not looking too far ahead as he soaked up the moment. "A couple of years ago, when I had a couple of foot surgeries, I didn't know if I'd ever play tennis again," said Hewitt, who has fallen to 66th in the rankings. "It was a hell of a lot of fun, I cherish every match I get. This is why I still play, to have moments like this." 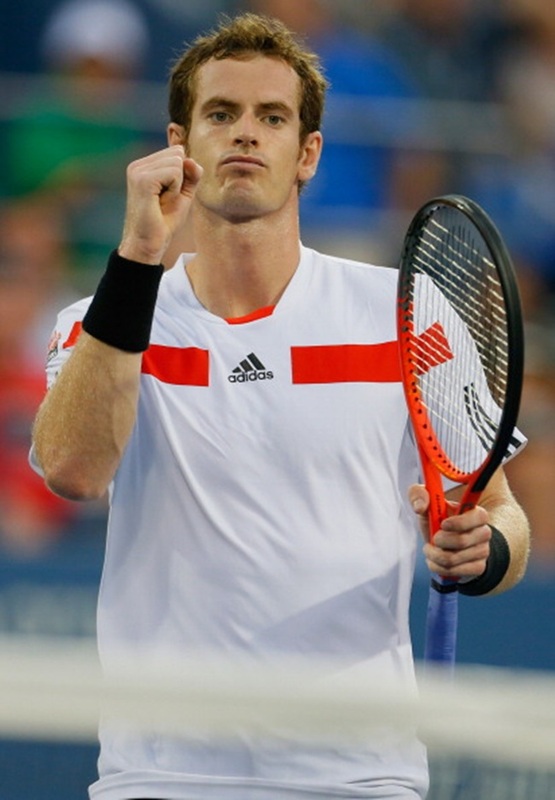 Andy Murray experienced his first little hiccup at the US Open on Friday, but recovered quickly to safely book a place in the third round of the season's last Grand Slam. The Scotsman was never in any danger of losing his match against Argentine baseliner Leonardo Mayer but did drop a set for the first time in the tournament. If there were any heart flutters amongst his army of supporters, who were queued up outside Louis Armstrong Stadium to catch a glimpse of the 26-year-old, they were short-lived as he instantly regrouped and ran away with the fourth set to win 7-5, 6-1, 3-6, 6-1. "It was a very tough match," said the defending champion, whose next opponent is Germany's Florian Mayer. "Both of us did a lot of running. "I started to move better as the match went on. He's a big hitter of the ball and I had to defend a lot." The queues were even longer at court 17 where Martina Hingis was making her comeback to Grand Slam tennis. The former world number one was granted a wildcard entry to the doubles with Daniel Hantuchova but the pair fell at the first, losing 6-3, 7-5 to defending champions Sara Errani and Roberta Vinci. For Hingis, who retired for a second time in 2007, it was a return to forget as she finished with back-to-back double faults to close out the match. Sloane Stephens beat Jamie Hampton 6-1, 6-3 in a battle between two of America's brightest prospects to set up a possible showdown with Serena Williams, if the defending champion wins her night-time clash with Yaroslava Shvedova. "I think I'm a great competitor. I've come out of a lot of tough situations, a lot of ugly ones," Stephen said. "That's what I've worked on a lot this year: staying in matches, being able to fight, really digging deep. I think that's helped me a lot this year." 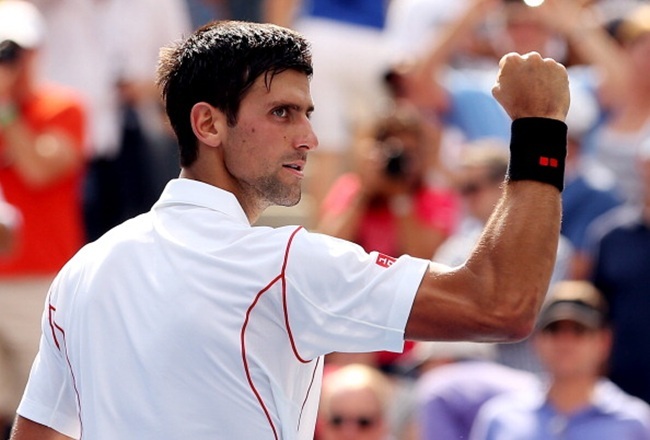 Novak Djokovic kept his perfect record intact after surviving an early test from Germany's Benjamin Becker on a baking hot day at Flushing Meadows, where gusting winds provided little relief from the heat and made it hard for the players to hit cleanly. The world number one saved two set points in the opening set before rebounding to win 7-6 (2), 6-2, 6-2 and advance to the next round against Portugal's Joao Sousa, a five-set winner over Jarkki Nieminen of Finland. "It was a struggle," Djokovic said. "It was a lot of unforced errors, very windy conditions. "You couldn't really read and kind of predict where the ball is going to go, so you have to be very alert." 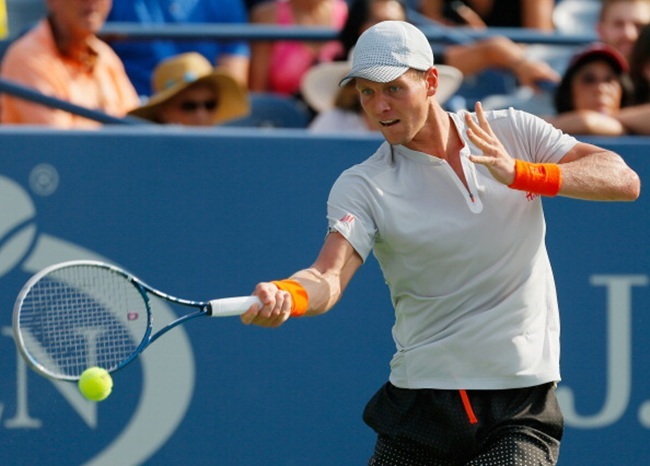 Tomas Berdych, the men's fifth seed and a semi-finalist last year, beat American Denis Kudla 7-6(3), 7-6(3), 6-3 and will face Frenchman Julien Benneteau in the next round. China's Li Na became the first player to reach the round of 16 when she defeated British teenager Laura Robson 6-2, 7-5. The ultra-consistent Agnieszka Radwanska wore down Russia's Anastasia Pavlyuchenkova 6-4, 7-6(1) to also reach the fourth round, continuing her impressive streak at this year's Grand Slams.